Feature: Why I didn't get that volunteering role? 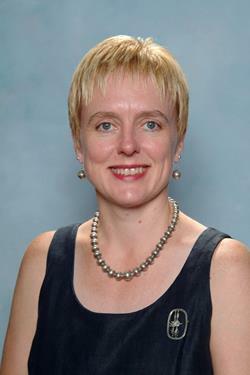 Profile: Meet Kerryn Boland, NSW Children’s Guardian. 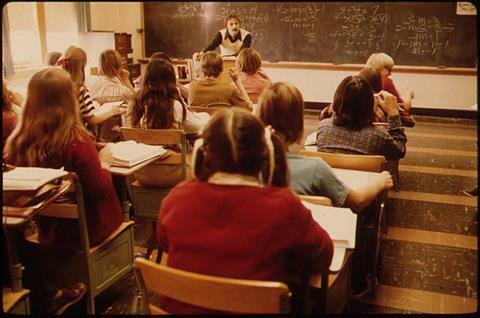 Are you missing the grammar gene? A visit from our friends across the ditch! Last chance to nominate a Corporate Volunteer-Team & Individual. The Office of the Childrens Guardian has developed a FREE seminar specifically for volunteers and volunteer organisations to assist them with creating child safe policies and procedures, improving risk management strategies and providing them with tips and tools to make volunteer organisation child safe. One of my favourite tasks this month was to read the wonderful nominations we received for the 2014 NSW Volunteer of the Year Awards. It was another reminder to me about how fortunate and proud I am to be part of an organisation that represents so many inspiring volunteers and organisations. Our regional award ceremonies are in full swing and each day I am visiting a different region to meet our winners and nominees. The local and corporate support we’ve had for these events has been fantastic – especially from ClubsNSW, the NSW Department of Education and Communities, the NSW Minister for Citizenship and Communities Victor Dominello MP and BWS. Congratulations to all our award winners and nominees! Their details are posted on our website after each ceremony. 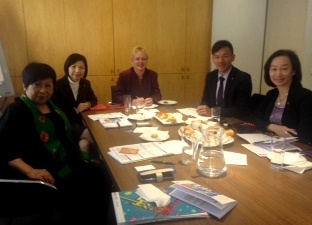 This month I was also pleased to welcome and swap notes on volunteering with some international colleagues from South Korea (led by Theresa Oh - Volunteering Korea), Hong Kong (Ms Flora Chung (CEO), Mr Tevas Lau and Elsie Wan) and New Zealand (Cheryll Martin -General Manager, Volunteering Auckland). We met at the Centre’s offices in the Rocks, Sydney and discussed the benefits and challenges we face to see what we can learn from each other’s experience. You’ll see some photographs of our visitors in this edition of The Voice. 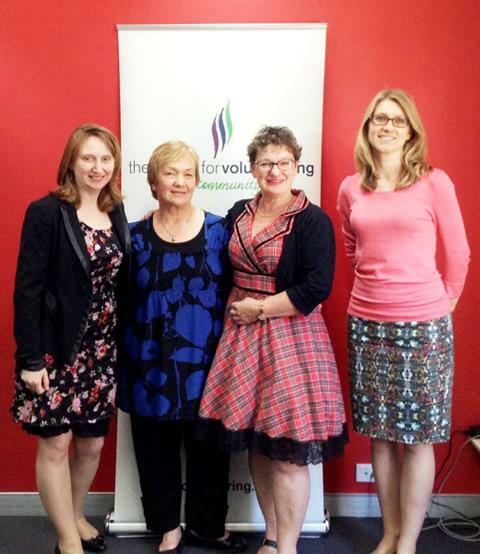 There were, of course, many more insights on volunteering shared at the IAVE conference on the Gold Coast this month. I was pleased to catch up with many of you there, including Carolyn Frischling, recipient of our scholarship to the IAVE World Conference. Members will also shortly receive an email from us with a link to our member survey. I would be very grateful if you could take the time to complete it so we can improve our services. We are reviewing our operations and I want to better understand what you think of our services and what you want from your membership. Any members who don’t get the survey within 24 hours can contact the Centre via email or on 9261 3600 and we will send it to you directly. A Sydney radio station contacted the Centre for Volunteering last week to ask why it was that someone who volunteered to help a not-for-profit organisation might be knocked-back. 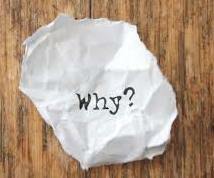 It’s a good question, and one we’re asked from time-to-time by our volunteers. The radio station’s question was prompted by a talkback caller to the station who was disappointed she didn’t get a volunteer role advertised by a large, well-known not-for-profit organisation. The Centre was pleased to be interviewed by the station to explain why this can happen, as well as the many other opportunities that are available. We thought it might be useful to discuss the topic this month in case any of our volunteers have wondered the same thing. The Centre for Volunteering’s Volunteer Referral Manager Avril Samuels said there were a range of reasons a charity might not be able to accept a volunteer’s application or offer to assist. “The main thing to realise is that organisations are looking to make sure they get the right volunteer for the role they have available so that everyone benefits from the experience,” Avril said. 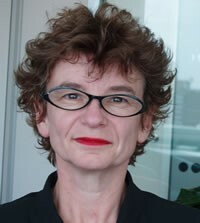 “Sometimes you might not get a volunteer role you applied for because there were simply more applicants than roles, or your availability didn’t match what the organisation needed.” Avril said that volunteering was also becoming more competitive in some areas because people’s motivations for volunteering were changing. “In the past, people volunteered mainly because they wanted to help people and weren’t looking for a specific personal benefit,” she said. “Many volunteers now see volunteering as a way of gaining more skills, improving their English or enhancing their job prospects, so some roles are highly sought after." “The good thing is though, that there are so many volunteering opportunities available – both skilled and unskilled – that you are sure to find a volunteer role that suits you." Police or other checks may have ruled you out. The main thing to remember is that there are plenty of opportunities available for people who want to volunteer, and not to take any polite refusals personally. Like anything, volunteering is about getting the right people, in the right role, at the right time. That’s when volunteers and organisations really thrive and get the most out of their work together. 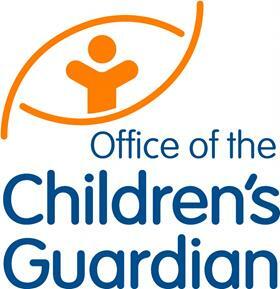 The Office of the Children’s Guardian administers the Working With Children Check. If you work with kids, the law requires that you hold a Working With Children clearance number. Last year, a new system was introduced which has resulted in a move away from employer driven checks - to a system where individuals, including volunteers are now responsible for their own application and Working With Children clearance. How long have you been the NSW Children’s Guardian? I have been the Children’s Guardian since 2005, although it’s almost ten years it doesn’t feel like that long ago! What inspired you to work with children? Growing up, I was part of a big family, but we made extra room to foster children. I felt proud to be part of that and being a foster sister. I saw the difference a loving and stable home could make in a child’s life. What is your favourite weekend treat? Catching up with friends and family, and watching my daughter play football. It’s just great to see her and her team-mates out their competing and having fun. What are your thoughts about volunteers in the community? Volunteers in clubs and schools, hospitals and community groups really do keep our society ticking over. And they are particularly important for kids. It’s inspiring to think of the thousands of people who volunteer every week and play such an important role in helping kids grow up happy and healthy. Do volunteers need to get a Working With Children Check clearance? If they volunteer in child-related work, yes. Volunteers who need the Check must then provide their clearance or application number to organisation they volunteer with. Getting the Check is free for volunteers, and costs $80 for paid workers. So who needs a Working With Children Check? Employees and volunteers over the age of 18 engaging in child-related work usually need a Working With Children clearance. A good way to know if you need a Check is to assess if your work involves face-to-face contact with children. If your work involves child development, child protection, children’s health services, and early education, taxi or bus services for children with disabilities, supervision of school road crossings or if you’re a youth worker, you will need to get a Working With Children Check. Volunteers don’t get paid, so why do they need a Check? It doesn’t matter that much to a child if the work you do with them is paid or not paid. It’s the contact with kids that counts. That’s why volunteers in child-related work need to get the Check. Volunteers in child development, family welfare services, transport services, religious services and residential services need to complete their online application by next year. The cut off has been set for next year – 31 March 2015. Do all volunteers need to get a Working With Children Check? Not if their work doesn’t involved direct contact with kids. You don’t need a Check to volunteer at the sausage sizzle or the club canteen for instance. Parents volunteering to coach their children’s sporting team, or at their children’s school don’t need the Check. The Working With Children Check includes a National Police Check for previous charges and convictions and any findings of misconduct. The Check has two results: a clearance or a bar. It is a criminal offence for a person with a bar to work or volunteer for jobs with children. Do employers play a role in all this? Employers are key. Employers and community organisations need to verify their volunteers’ clearance number online. In fact, employers are legally obliged to verify their staff and volunteers that need a check, have one. They also need to keep an accurate record of their staff’s clearance numbers which are valid for 5 years. The Working With Children Check number belongs to the applicant and can be used for all work within the 5 year period. This includes a person that is self-employed. They can use this information in their own marketing material to promote their business. A fantastic new feature of the new process is that parents can now verify a Check online too. What else can employers do? Is the Working with Children Check enough? While the Working with Children Check is an important tool in an organisation’s approach to being child safe, it cannot identify people who have not previously been caught or are yet to offend. It is just as important for organisations to be ‘Child Safe’ and adopt strategies that go beyond a Check, with the focus firmly placed on prevention. For more information you can visit us at the Children’s Guardian website at www.kidsguardian.nsw.gov.au or phone us on 02 9286 7219. While the scientists are still debating the existence of this gene, many people fear putting fingers to the keyboard as they struggle every day with grammar and spelling. Without a good grasp of grammar your productivity can be affected as you struggle to write clearly and effectively. For instance, do you waste time mulling over the green squiggly underline which identifies the issue, but doesn’t provide the solution? It is also time-consuming to have to write additional correspondence to clarify your original message. Linguistic difficulties can also have an effect on a person’s confidence, causing them to avoid certain tasks and situations. An employee with sloppy correspondence can be a huge financial risk to their employer. One very costly example is where a misplaced comma in a contract concerning telephone poles, allowed the telephone company, Bell Aliant, to end a contract early, costing the provider over $2 million. The other risk faced by organisations is to their brand and image if they are represented by employees sending correspondence containing poor grammar and spelling. As the saying goes, “you only get one chance to make a first impression”, whether that is for yourself or your organisation. The School of Volunteer Management is running a Back to Basics workshop on 9 October, if you are interested in grappling with some of the grammatical problems posed by the English language. So if you are not sure whether you are affected or effected by this article then definitely register now! 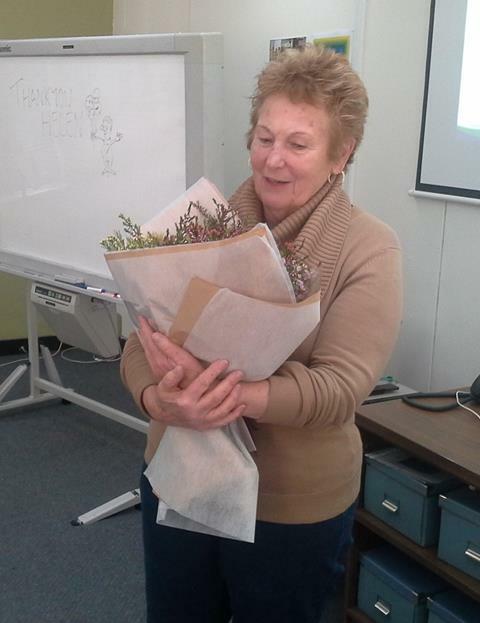 Last month we farewelled long-time Bridge to Volunteering presenter, Helen McInnes. Helen has been presenting the workshop to prospective volunteers for nearly seven years. The Bridge program is a free two hour workshop held each Friday morning at The Centre for Volunteering at The Rocks, Sydney. The program aims to introduce anyone to ‘what is volunteering’ and your rights and responsibilities as a volunteer, working at a not for profit organisation. It is a chance for those looking to find a new passion or to meet new and like-minded people. Bridge to Volunteering also provides many people the opportunity to create or maintain their link to the community. For people who have recently arrived in Australia the workshop allows them to meet others from the community and gives them an understanding of the Australian volunteering culture. For people retired from the workforce it provides them with an insight into how they can continue to contribute their valuable experience through volunteering. It also assists those looking for employment see the advantages of volunteering, to gain or update their skills, which could lead to employment. Helen has ‘taught’ many volunteers over that time and has always been a fun presence with her contagious laughter and vast knowledge of volunteering. She has volunteered for many years and always spoke with a high degree of passion to excite others and knowledge of what to expect as a volunteer. Helen has decided to ‘retire’ and spend more time with her family and grandchildren. Content: This workshop will help you grapple with grammar by covering the common punctuation traps, spelling mistakes and syntax errors. Content: Draws your attention to how adults learns, the different methods used to develop their skills, knowledge and attitudes; and what you can do to make sure your training is effective. Content: Kerry and her team developed www.my.starlight.org.au, an online community for Starlight’s 1500 volunteers. This project has exceeded expectations with over 1,300 members in just six months. Learn more the project and benefits. We welcomed a visit from the General Manager of Volunteering Auckalnd, Cheryll Martin, seen here with members of our staff. Gemma Rygate with the Hong Kong delegation.